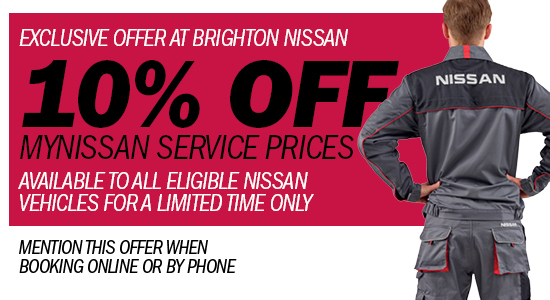 At Brighton Nissan, our workshop utilises the most up to date equipment and has been purpose built to support the Nissan maintenance program, which allows you to get the best performance from your Nissan vehicle. The Brighton Nissan team wishes you safe and pleasant motoring. To find out about the great range of products we have available to keep your car looking it's best - Click here.